Drinking water in all canals from Vijayawada is polluted. At least untreated water is being released. More than 500 villages are provided drinking water by filling out nearly 383 Ponds in the district under the three major streams from Prakasam Barrage. The people of the villages are gaggolos that the water cannot be utilized. On the one hand, Vijayawada is taking a number of steps to prevent pollution. Greening of roads. Vehicles do not come to the city to prevent air pollution. Carbon dioxide reduction is reduced. If environmental pollution decreases, hydrolysis on the other hand increases. There is a concern that there is a risk of such incidents in the Kondur zone. Water bodies, Municipal Corporation, Panchayat Authority or Drinking Water Supply Officers do not take action at least. Prakasham barrage in Krishna district has cultivated nearly 7.36 lakh acres of irrigation water. About half of the district gets water through these canals. A total of 383 Ponds are filled with drinking water. Circulating water for 500 major villages. 1.51 lakh acres under irrigation canal. There are 1.37 lakh acres in Avanigadda. It is filled with a total of 60 Ponds. The drainage canal was totally invaded. From Krishna Lanka on both sides, the ridges were occupied. Sewerage is dropped directly from the houses. Water in dark canvas looks dark blue. The concentration is high. The moss is bleeding. In the Kurnool panchayat, drainage canals are dropped directly into the canal. There are 3.33 lakh acres and 1.15 lakh acres under the Rivas Canal and Eluru canal. In addition to filling hundreds of phenomena of drinking water. With the smell of near the drainage basin, the inhabitants of the neighborhood were overwhelmed. The villagers were worried about the accident. However, the situation did not change. Complaints have been received from various villages as cracked cattle have been killed. Chief Minister Nara Chandrababu Naidu plans to make Vijayawada city beautiful. Recently, the city was suddenly angry over the canal situation. The drainage of the canal has been suggested immediately. Many squares were ordered to be developed. After some visits to the area, some places have been sabotaged. Fences. The plants are planted. But it does not care about sewage. A recent meeting of the Cabinet Meeting was also discussed. Substitute Keikrishnamurti suggested that allocate alternative houses to them. Only the city governing body or the water resources department officials are patrolling over time and preventing sewage water. More than a road stretch into the canal of the bunker is being dumped directly into sewage channels. They are being dumped by flood water channels. 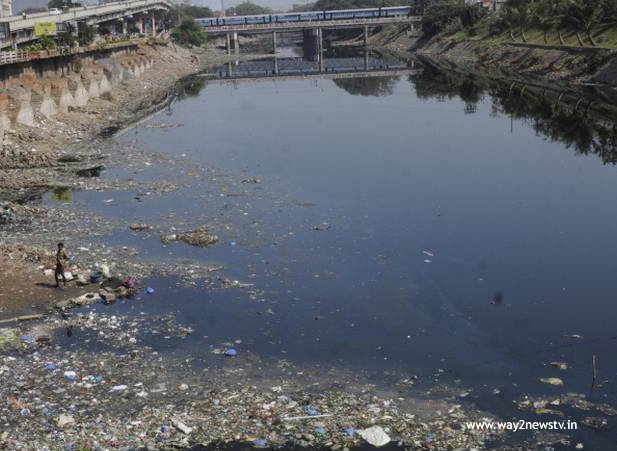 About 550 tons of wastes in Vijayawada are at least 20 percent of the canals. All the canals are filled with plastic and other waste. The people are concerned that the future will be dangerous if not taking action in this situation.